We get it, you have a lot of things to do that you sacrifice the quality of your meals by eating too fast. But aside from not fully enjoying your food, eating quickly can also lead to bloating, which, of course, is not a good condition to go on with your day. When you eat hurriedly, you’re not able to chew your food thoroughly and these bigger food pieces linger in your stomach waiting to be assimilated. Another reason why eating so fast isn’t cool is because it makes you lose track of how much you’ve already eaten, which causes you to overeat. Part of being in a fast-paced society is having foods prepared expediently to meet your on-the-go standard. 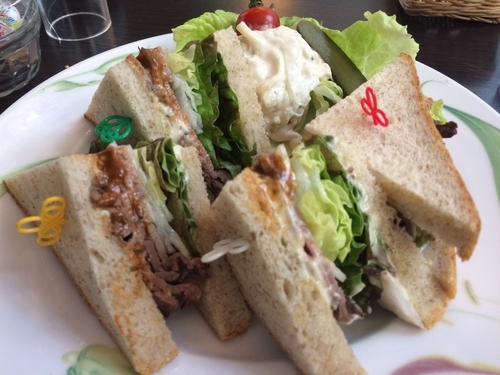 This is the reason why sandwich is most people’s go-to lunch. The problem is that most sandwiches are loaded with sodium. A study conducted by the USDA revealed that a typical sandwich’s sodium already covers 20 percent of our normal sodium daily intake. CDC also names sandwiches as one of food items that are high in sodium. Moreover, the CDC suggests taking your sodium consumption to 2,300 mg per day. You can also avoid sodium-triggered bloating by replacing it with something else for lunch. Almost all kinds of drinks today need to be taken through straws. Despite their convenience, using straws also enable you to such more air, which results to bloating. 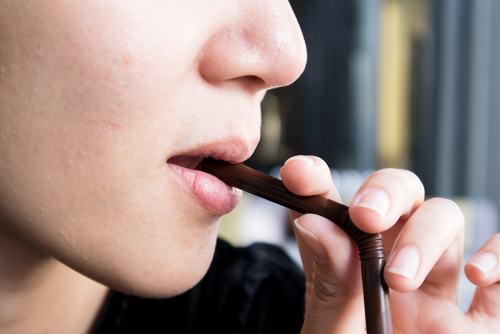 It doesn’t matter if you’re sipping slowly or deeply; once you’re using a straw you’re already taking in their air that’s trapped in the straw’s upper part, which is something you can’t evade. The remedy is to avoid using straw whenever possible. Processed foods use sodium as preservatives. Potato chips and crackers are obvious sodium-rich food items, but even those that you think are healthy like soups, cereals, and salad dressings are also loaded with sodium. If these are the kinds of foods you consume every day, you’re likely to exceed your daily sodium limit. The solution is simply, really. Just read labels of products you buy and go for packaged foods that have less than 500 mg per serving. If you’re conscious with your food choices, your 2,300 daily sodium intake will more than do. People want to avoid accumulating too many calories, so they typically resort to consuming low-calorie products. On the other hand, low-calorie selections usually have artificial sugars instead like aspartame and sucralose. 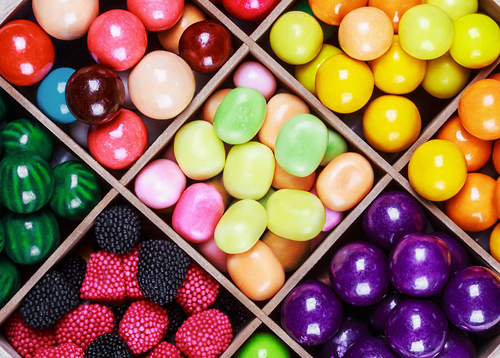 These synthetic sugars can be found everywhere, mostly in sodas and candies. While you may be limiting your calorie consumption, these sugar replacements tend to cause bloating because they linger in your gut for a longer period of time since they’re not easily digested. While gums and candies can help you lose weight or quit smoking by keeping your mouth busy, they can also unintentionally cause you to gulp lots of extra air. Of course, excessive air can lead to belching and feeling like your stomach is stuffed with all the wrong things. If the goal is to keep your mouth occupied because you want to stop smoking or eating a lot, you can replace your gum or candy habit by drinking lots of water instead. Not only will you get rid of bloating, you also experience multitudes of health benefits, too. Gulping plenty of water keeps your GI tract moving. Plus, it eliminates excess water and air, which gives your gut feelings of lightness and relief.